It is considered the building material of the future: carbon concrete. In 2016, its research was honoured with the “Deutscher Zukunftspreis” (German Future Award). Now, the innovation from a research team at TU Dresden will specifically be further developed by the German yarn manufacturer W. Zimmermann GmbH & Co. KG. By skilfully combining textile yarns and carbon fibres, completely new textile materials for technical applications are created. Zimmermann’s latest innovations are presented at the Techtextil trade fair in Frankfurt. 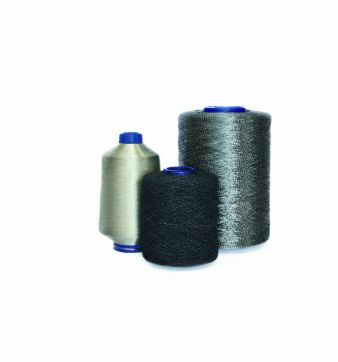 During the past few months, Zimmermann developed exceptional solutions for carbon covered yarns used both in lightweight construction and for industrial purposes. 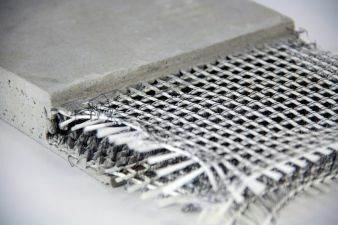 The “carbon concrete” innovation of TU Dresden was substantially further developed with the extensive know-how of Zimmermann in the field of technical yarns. To this end, the Allgäu company delivers an individual covered yarn combination of carbon and a special-purpose yarn. Due to this wrapping, the smooth carbon can finally be blended. What is decisive: Thanks to the optimised form closure achieved by this, carbon and concrete can be blended much better. The future building material is considered durable, maintenance-free and environmentally friendly. Since carbon concrete components are much leaner than traditional ferroconcrete components, they also have many visual advantages. But modern, covered Zimmerman carbon composites are not only suitable for future buildings, they are also used in the vast of space. For example, these carbon yarns are used for the “Ariane 6” rocket. Carbon textiles are not the only thing the Allgäu company has successfully developed. Many other textile solutions of the company are already used successfully. For example in the automotive industry: With the worldwide novelty “belt-mic”, hands-free talking in the car without any quality loss has become possible. A belt microphone with covered ladder yarns is the latest innovation, being already a standard feature of diverse German brand sports cars. Besides these technical application options, the yarn specialists use their knowledge for textile innovations in other fields as well. Whether in medical products for sensory monitoring of cardiovascular functions, ongoing further developments of compression textiles and bandages, or in yarn manufacturing for use in special suits for electrical muscle stimulation. Or also in home and clothing textiles that provide protection against electromagnetic radiation through the use of Zimmerman yarns, that are cut-resistant or fireproof, or that boast chemical cleaning resistance. All of these products use the patented Novonic innovations. Thus, the Allgäu company transforms excellent base yarns into exceptionally innovative and functional Novonic yarns. These innovations are always developed in close and individual cooperation with Zimmermann and its customers. 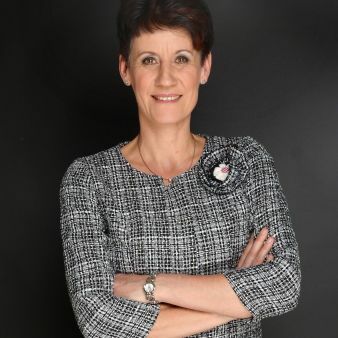 The development is accompanied by personal advice from product developers and sales staff - even on site - from the prototype to the end product. Due to the possibility of offering twisting, covering and dyeing from a single source, special requests can be met at any time.